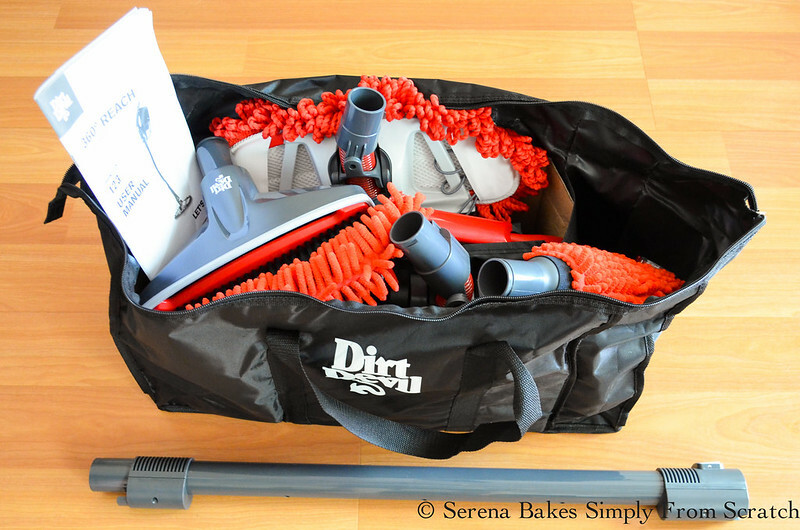 My Top 10 Easy Cleaning Tips to make household clean up a little bit easier. 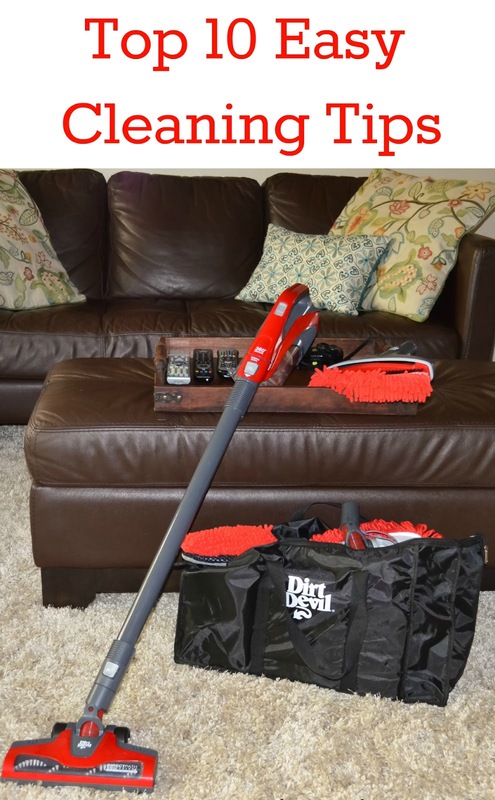 I recently tried out the Dirt Devil® 360° Reach™and fell in love with how light weight it is and all the accessories to make household cleaning so much easier! I've been looking for something easier to maneuver then our traditional vacuum to get under the entertainment cabinet, sofa and beds without having to move furniture and the Dirt Devil 360° Reach not only does that but more. Please make sure to checkout the bottom of the post for my Top 10 Easy Cleaning Tips to save time! 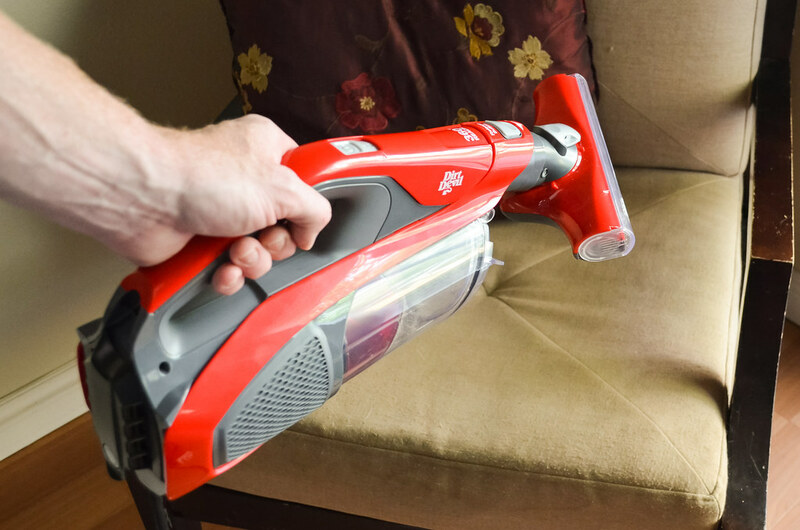 It's a super powerful 4-in-1 Stick Vac with numerous accessory options to make cleaning a whole lot easier. One of my favorite attachments was this ceiling fan cleaning tool and the adjustable extension! To clean the ceiling fan in the past was always a mess that required a small ladder and a lot of time. But the Dirt Devil 360° Reach solved that problem by catching the majority of the dust and easily stretched from the floor to ceiling. 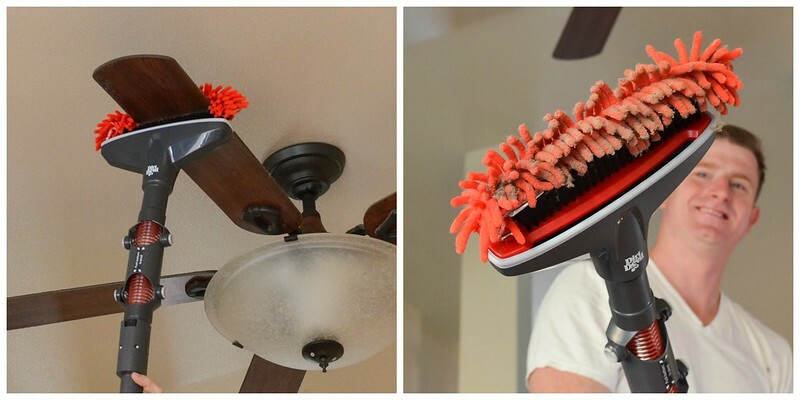 Cleaning the ceiling fan will now be part of our weekly cleaning making it much easier to do! 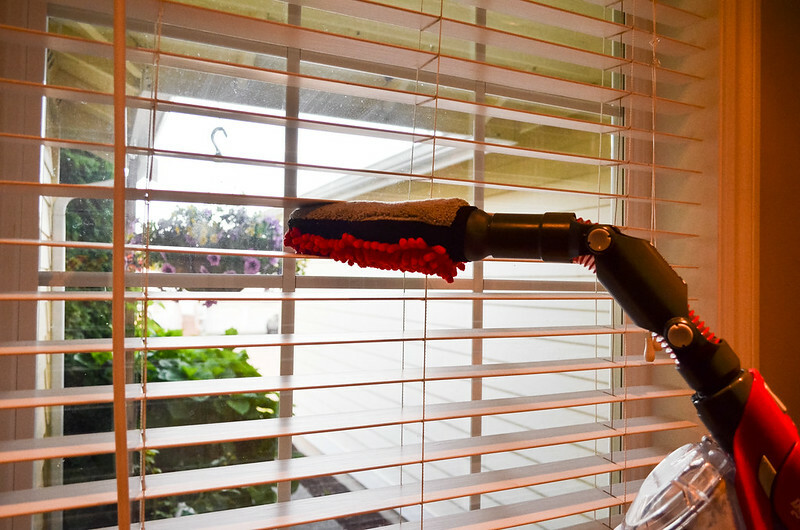 The swivel head with Vac+Dust Tools with SWIPES™made cleaning the blinds and dusting the furniture a breeze. 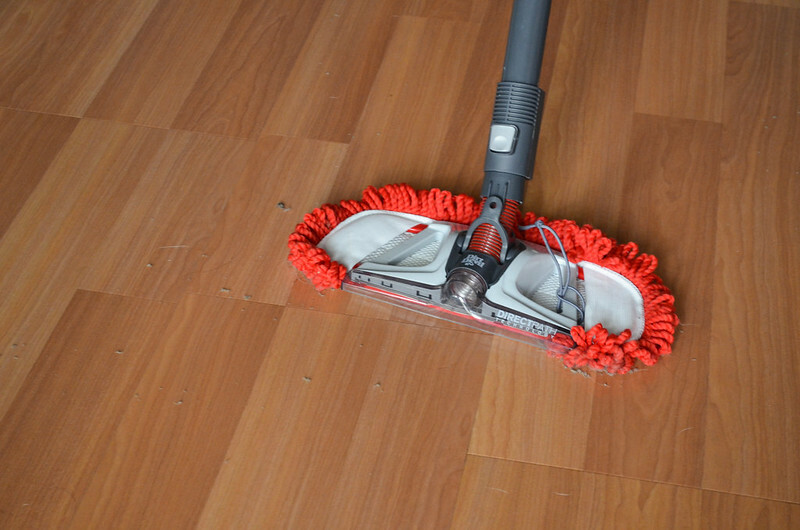 The vacuum and dust attachment made final clean up of the floors so easy by vacuuming up the larger stuff while the SWIPES™ grabbed all the dust. If that wasn't enough the 6" powered stair and upholstery tool pulled buddies hair out of his favorite chair. Something our regular vacuum just doesn't do! I no longer have to worry about guests who might accidentally sit in buddies chair having hair stick to them! This tool would also be great for cleaning the car in all those hard to reach places. The Dirt Devil 360° Reach is definitely one of my new favorite tools to make cleaning so much easier! Right now you can purchase a Dirt Devil 360° Reach for the special package price of $149.99 at https://buydirtdevil.com and includes an additional attachment package valued at $75 while supplies last. Spray down the kitchen counters and bathrooms while your cleaning other areas of the house so the cleaner has time to soften any stuck on grime and requires less elbow grease. Do a 5 minute clean up each day by taking a laundry basket and removing anything that doesn't belong in that room and then put away anything that belongs in the room your in. Always work from top to bottom when cleaning. 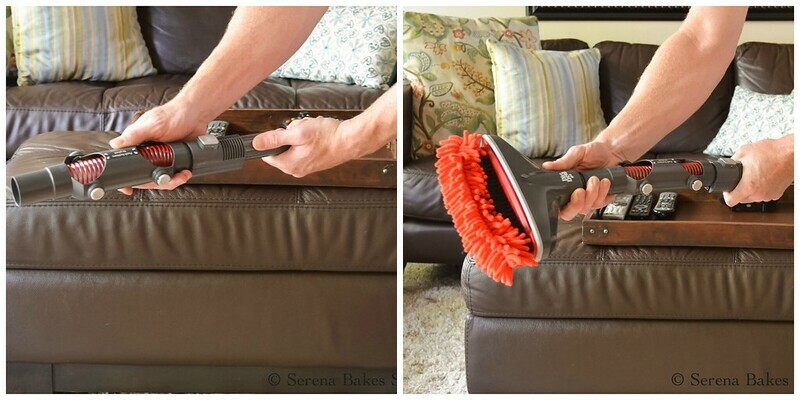 I always dust and wipe everything down before I vacuum the floors to keep from having to clean them twice from the dust that falls from the furniture. Try making the bed each day. It's surprising how much better the bedroom feels when a few minutes are spent each morning making the bed. Once a week while I'm deep cleaning I pour a 1/4 cup baking soda down the drains followed with 1/4 cup white vinegar that I allow to sit while I'm cleaning the rest of the house. Then I pour 1 cup boiling water down the drains to help prevent clogs, soap build up and gnats that will sometimes live in the drains. Microwave your kitchen sponge every night for 1 minute on high to kill off any bacteria. If it's dirty place it on the top shelf of the dishwasher to wash with dishes. When it starts falling apart or is smelling it's time to toss! Add a 1/2 a lemon rind to the garbage disposal and run under hot water to help clean the garbage disposal and make the kitchen smell of lemons. I will usually freeze excess lemon rinds from making lemony treats so I always have a few extra rinds on hand. Decide on a set amount of time to spend each day on cleaning the house whether it's 20 minutes or 1 hour doing a little each day cuts down on the deep cleaning needed at the end of the week. If you have glass shower doors squeegee after each shower to prevent water marks. It's 2 minutes well spent. While your wiping things down don't forget the door handles, light switches, remote controls and phones. It's surprising how fast they can become dirty and go unnoticed! You can find more information about the Dirt Devil® 360° Reach on Facebook, Twitter and Instagram.